Yellow may be an ordinary color to most people, but it is more than just a color for the Vision campaign. “[The name] Vision and yellow really encapsulate kind of the personality of our campaign,” Student Government Association presidential candidate, Natalie Campbell said. 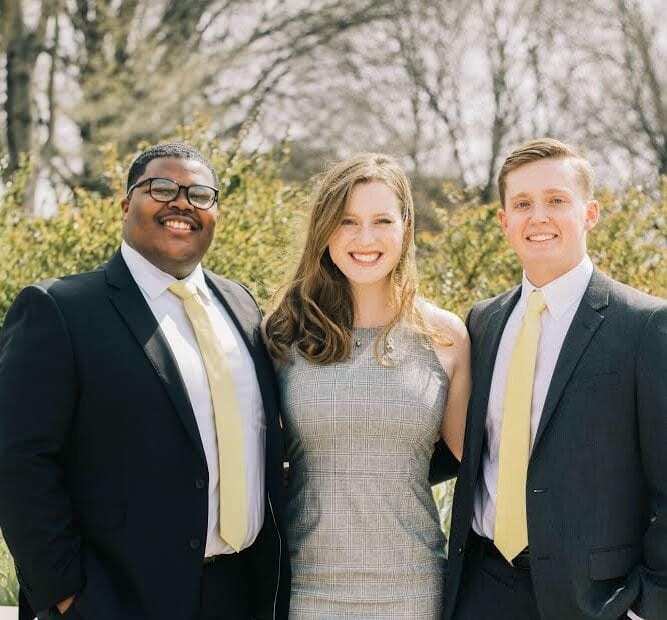 Campbell, along with Isaac Holt and Emerson Burd, running for SGA vice president and student services director respectively, said yellow embraces positive change and by using it, the trio said they hope to build a bridge between students and SGA, which is currently lacking. “I saw an opportunity to take [my free time] and then really focus in and commit my time to this position to try to give more students that opportunity for involvement,” Burd said. Additionally, Burd said he did not know much about the SGA committees before and saw a gap he wanted to bridge by making sure current and incoming students are informed on the services available for them. While Burd does not have any SGA experience, he has served in various leadership roles within his fraternity Sigma Nu. He served as chaplain and vice president. While Burd said his experiences as vice president directly correlate to the position on a management standpoint, his role as chaplain helped develop compassion for his fraternity brothers. Prior to her experiences in SGA, Campbell had a background in advocacy which began when she was 13-years-old. Since her days of serving on SGA’s First-Year Council, Campbell has served in every branch of SGA, where she has learned about different student experiences and the needs students have across campus. Her experiences led her to run for president. “I really saw how important it is to have good leadership that has these skills in advocacy, that has these skills with students and administrators to really get some good things done,” Campbell said. While Holt has served in SGA, including First-Year Council with Campbell, he has also held leadership positions across campus and has served in organizations such as Collegiate Black Christians, Ignite Leadership Summit, Vol Team as a recruiter and many others. Holt said each of the experiences he has had are unique and allowed him to connect with many students across campus. “The biggest thing for me is the idea that students connect when you’re kind of able to relate to their stories,” Holt said. “… Regardless of my leadership position in any organization, I’m still a student just like you and I still go through things,” Holt said. Holt wants to apply the same sentiment to SGA. Vision has three pillars to their campaign. The first is supporting past, present and future students. Holt said this initiative is meant to ensure students are on the forefront of everything SGA does, including supporting diversity and inclusion. Installing a historian and alumni coordinator in the Executive Cabinet of SGA is also an important aspect of this initiative, according to the campaign. The second pillar is enhancing student resources including the Disability Services, student health center, student transportation and others. Vision is looking to partner with Uber. They want to offer 50 percent off Uber fares from Thursday to Saturday 5 p.m. – 3 a.m. as both a safety and transportation initiative for students. Campbell said this is an initiative that began in the past but has not gained traction. She hopes this is something her campaign will move forward. In addition to Uber fares, Vision is looking to expand dining hours. 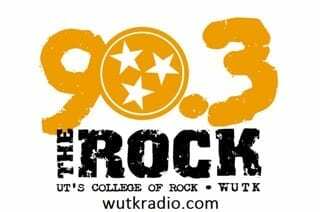 They want students to have better access to campus dining facilities. Additionally, Campbell said the Vision campaign has discussed a resource campaign that would occur in the fall semester where students can find out how to get their needs met, while also finding ways student needs are not met. The third pillar is fulfilling the role of SGA. Burd said a lot of good can come from just genuine interest in helping other students on campus. He also wants to get rid of the “barriered entry.” He does not want students to feel as if they cannot get into SGA due to not knowing policies or being politicians. Vision plans to start “SGA News” where students can receive bi-weekly updates that provide updates within SGA and its initiatives. Vision said it is important to provide this information to students so they do not have to continuously search for it. Burd said the campaign also wants to create an office hours system where students can stop by after class or a workout and talk with their elected representatives informally rather than feeling the pressure of the idea that it is the student body president. “We don’t have all the ideas in the world, maybe somebody knows about something great that we haven’t heard of and then by us coming to you and talking to you, we go “oh that’s a great idea. I wish we’d thought about that.” and then we can get that started,” Burd said. Aside from policy points, the trio hopes it is their kindness and the way they engaged with students as well as being innovative that students remember most about the Vision campaign. “I think it’s important to have a campaign that really just pushes positivity and kindness because, at the end of the day, it’s not about us, it’s about the students and what we’re able to do for them,” Burd said. For more information on the Vision campaign, visit their Facebook page. SGA Voting begins Monday, April 15 at 7 a.m. and ends Wednesday, April 17 at 5 p.m. Students can vote on SGA’s website.